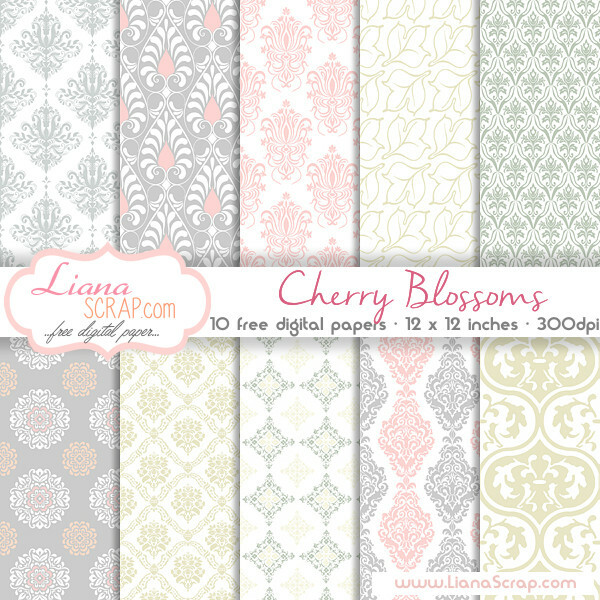 Get these gorgeous papers AND a lot more sets from LianaScrap.com. I love the subtle colors of these vintage inspired damask wallpaper patterns. She also has bold geometric patterns and papers with bright flowers.LianaScrap.com is offering this set for free with personal use and small commercial use terms.